Here we have a Porsche Carrera GT, but not any Carrera GT. 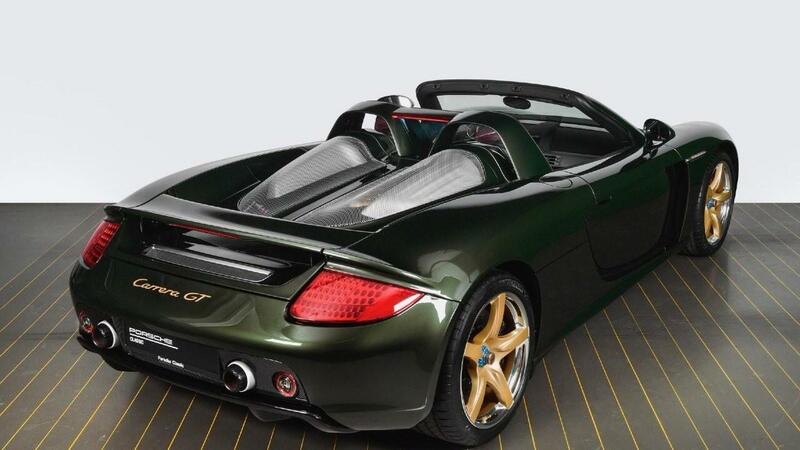 This is a green and gold Carrera GT. 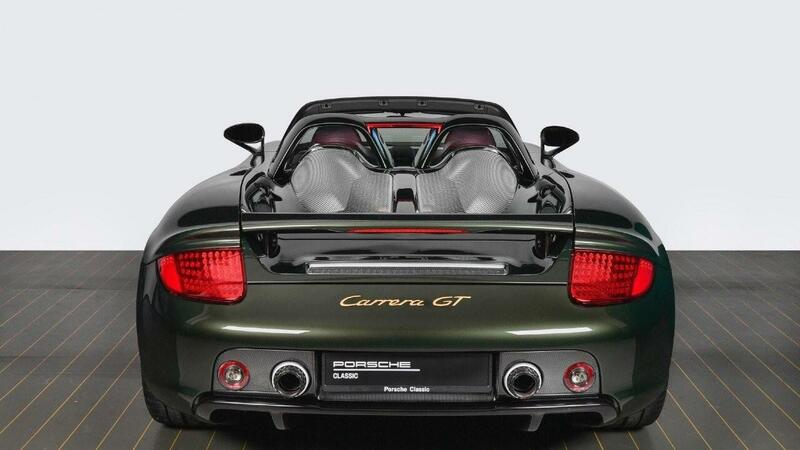 But not any green and gold Carrera GT, it’s a box-fresh green and gold Carrera GT courtesy of Porsche Classic. Once you’ve picked your jaw off the floor, click through and see how this painstaking restoration came to be. 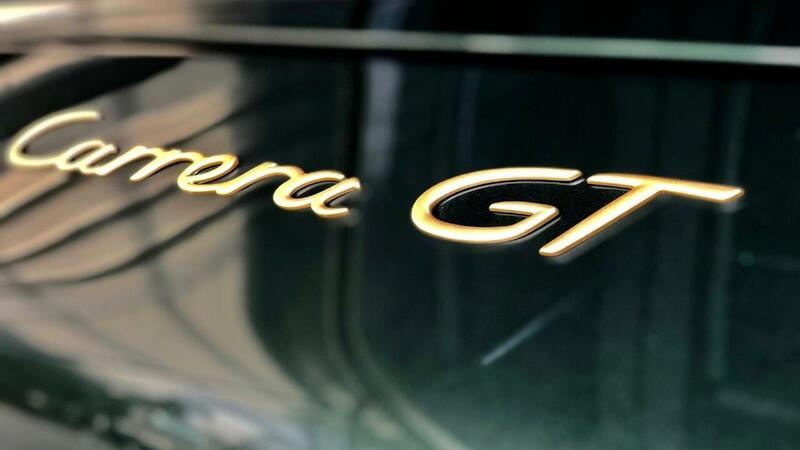 Launched in 2005, the Carrera GT produced 612bhp from its 5.7-litre race-derived V10. Mounted in the middle of that lightweight tub, it revved to 8,400rpm and made the most incredible wail. If you could get around the tricky clutch, you’d see 0-62mph in 3.9 seconds and a top speed - where permitted, naturally - of 205mph. For its day, it featured bleeding-edge tech. The geometry underneath the GT, for example, mirrored Porsche’s race cars. You’re talking rear diffusers and airflow channels that work with the carbon underfloor to provide a ‘suction’ effect. It also had a carbon fibre reinforced plastic module frame with a monocoque chassis, and a kerbweight of just 1,380kg, while the suspension was straight out of motorsport: steel pushrods operate the spring and damper elements. 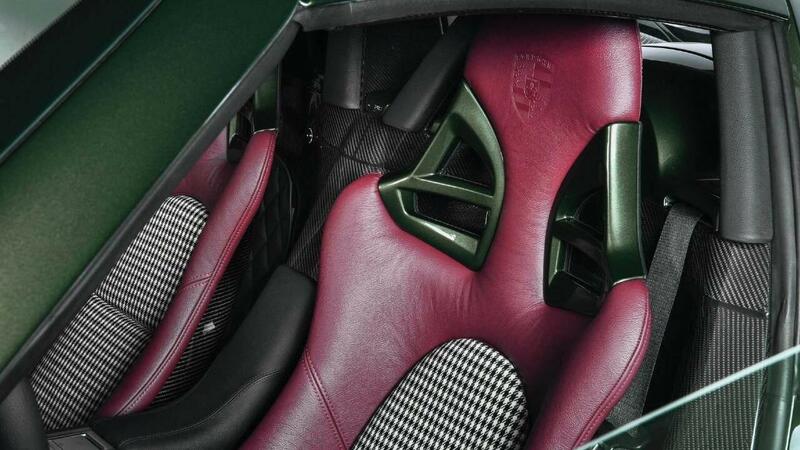 Even the ruddy seats were made from magnesium and carbon fibre, and weighed just half those of conventional Porsche seats. The owner of this Carrera GT approached Porsche’s Classic department to give their car the ultimate once over: to break it down and build it back up again. We’re talking the whole shebang: taking it back down to the nuts and bolts, disassembling every single individual part, checking every single component and then refurbishing or replacing them where necessary. It was an intense process. Take the carbon fibre work for example. Older carbon fibre parts tend to yellow and fade, so Porsche spent 350 hours manually sanding and recoating all the carbon fibre components, including the monocoque. Once the engine, transmission, and chassis components were back to spick and span, the owner had one more unique request: to treat it to a new coat of paint. 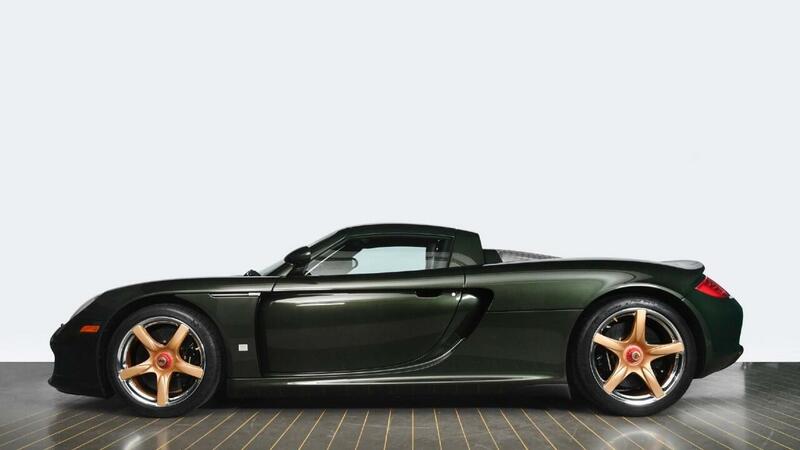 But not a normal shade, a bespoke colour for the Carrera GT – Oak Green Metallic. 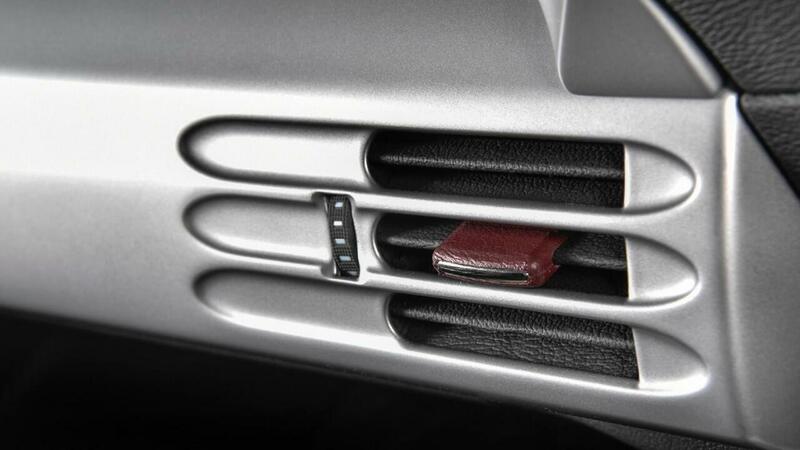 It’s a hue that appeared for the first time in the 1970s but was never available on the Carrera GT. Everyone was too obsessed with silver back then anyway. The five-spoke magnesium wheels were specially designed, too. 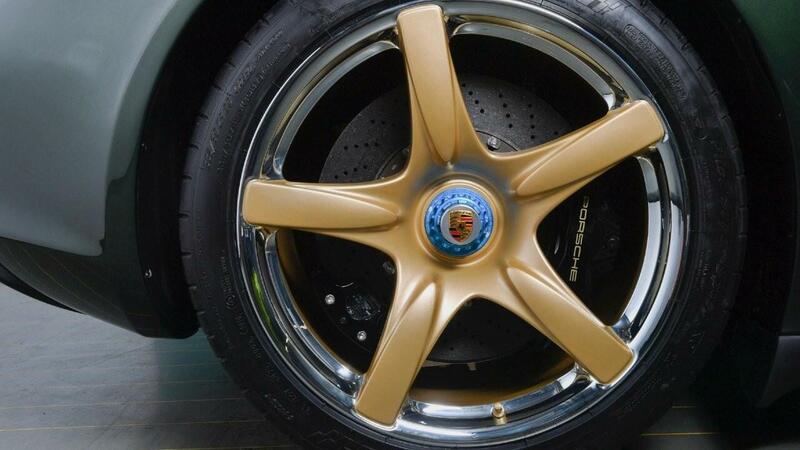 Taking inspiration from the legendary motorsport BBS rims, he had a star-spoke painted in gold and a polished rim. Being fastidious Germans though, experts from the Porsche R&D centre in Weissach advised that polishing the rim ring would structurally alter the material in such a way that it would potentially be dangerously weakened, so an alternative engineering process was required to create the desired metallic high-gloss effect rim. The solution was to use silver. Actual silver. Using a technique that’s never been tried and tested in production, a layer of silver was applied to the wheel to create a visually chrome-like surface finish. Normally it’s the other way round. But because silver is second only to iron in terms of oxidisation (rust and a black finish) the silver-coated rim had to be slathered in a clear lacquer, while the star-spoke was painted in gold to match other parts of the car. 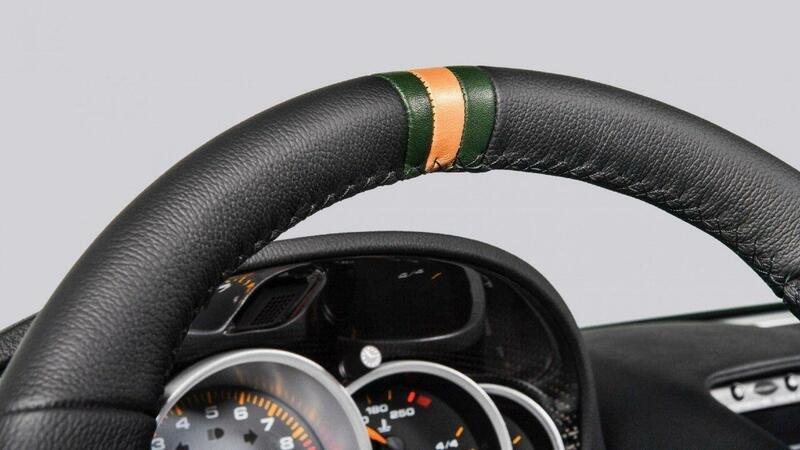 Green and gold continue throughout the car; the Porsche lettering on the brake callipers, in the engine compartment, on the intake housings, and even in the interior, where the top marking in the centre of the steering wheel is finished with a motorsport-derived single gold stripe flanked on both sides by a stripe of Oak Green.